Wit and Helen work as church planters among the largely unreached indigenous Thai Buddhist people group. 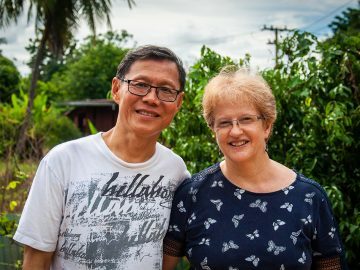 In this exciting new BMS work, Wit and Helen help to plant churches and disciple local believers alongside Thai church planters. 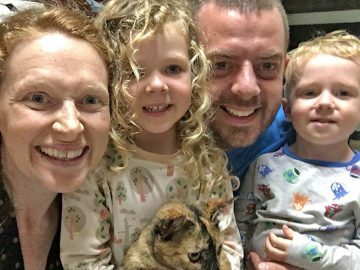 Wit is originally from Thailand and before starting with BMS was minister at Thrapston Baptist Church while Helen is a TEFL teacher. Together they have two grown-up children. Their home church is Thrapston Baptist Church. Helen and Withaya Boondeekhun will be on home assignment in the UK from Friday 29 March to Thursday 2 May 2019. If you wish to visit a church where Helen and Wit will be speaking then please refer to their schedule below. The people in this article need you and your church to pray for them today. Jesus, football and BMS. What a team.